They are meant to show the states for Normal, Superseded, Expired, Invalid, and Meta-data only software updates. What is the worst flaw in these icons? But for the 1 in 12 men in the world and 1 in 200 women that suffer from color blindness, these icons look pretty similar, making it hard to discern the meaning. Here’s what it looks like using the color-blindness simulator Sim Daltonism. Green and Yellow are hopelessly lost. Red and Gray, Red and Green aren’t fantastic, either. Here, Blue and Green are nearly the same. Microsoft attempted to solve this in 2012 by using different badges on the icons instead of arrows for everything. Note that Blue and Green are still both arrows, and are still going to be a problem for some percentage of the population. 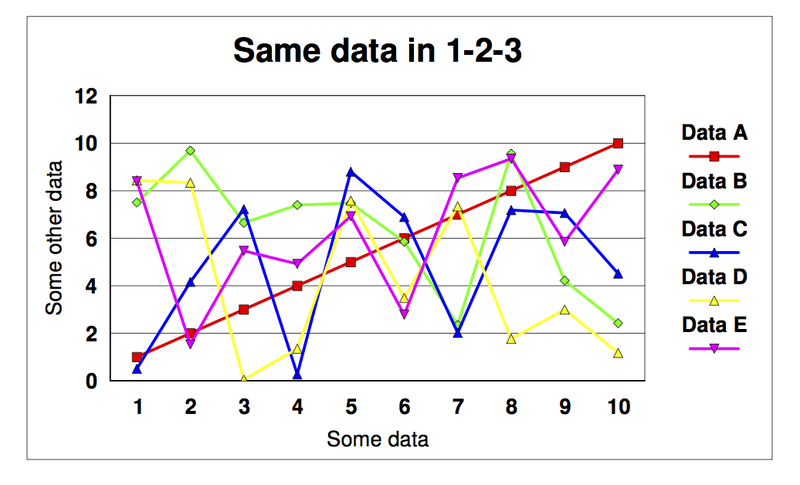 If you make a multivariate graph (multiple lines) in Excel, the color choices are bad (and cannot be easily changed). So you get three or four lines on the graph and cannot match lines to a key. One trick is to use big symbols at the data points (plus, square, circle, star) and in the key. Another is to force a color out by setting its values to all zeros, and adding another line in the next successive color, which doesn’t work well since all the colors are similar anyway. The only color I can reliably distinguish is series 3, yellow. There are two dark blue ones which are distinct from all the others but not from each other. And people at (a multinational Fortune 100 company) did this all the time. Then, just for fun, I dumped the same data into Lotus 1-2-3. Not only were the default colors MUCH better, but by default the symbols were turned ON, not OFF. 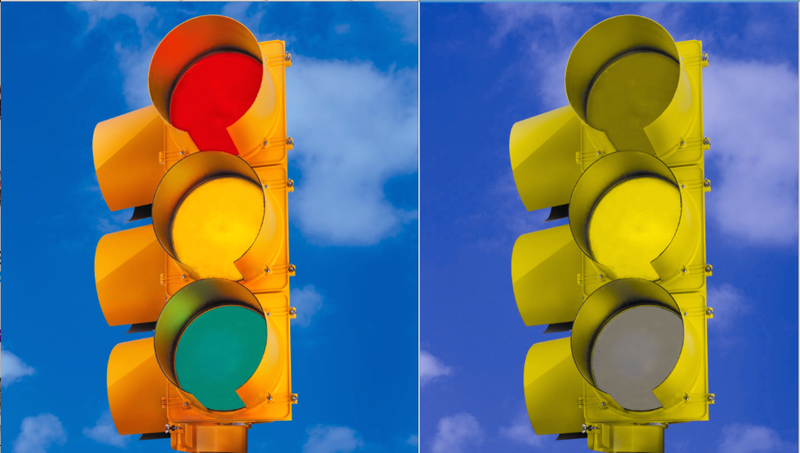 So how do people with these problems get on in the world when traffic lights look similar? There are all kinds of accessibility concerns to take into account beyond things like sight and hearing impairment, which most people read as blindness and deafness. It’s important to remember that it’s a continuum and there’s more that can be done than just addressing those two more easily-understood conditions. Previous Post redesignQuiz: What is the worst flaw in these icons? Next Post redesignQuiz: What’s the simplest way to improve this Amazon GC?